We at Canes Deer Velvet wish to inform professional athletes fully on the information that is currently available regarding the use of Deer Velvet and the stance of WADA (the World Anti Doping Agency) and Drug-free sport. It is important that you are informed, to protect both ourselves and you as an athlete. 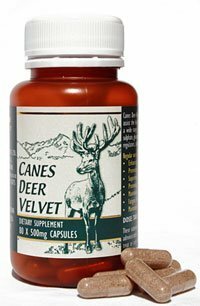 You may be aware there has been bad press in the past around the use of Deer Velvet, however, these reports did not relate to Deer Velvet capsules. In every case that caused concern in the media, it referred to a manufactured/adulterated product of IGF-1 concentrate. Deer Velvet was named as the source of the concentrate however it should no longer consider a Deer Velvet product, but instead was an ‘extract’ of IGF-1 for sublingual use. Unfortunately, marketers of this product continued to use the words “deer velvet” in their promotions and this is how Deer Velvet got a questionable reputation. The oral consumption of a whole velvet product eg capsules is very different to an IGF-1 product administered sublingually. At the time of writing, Deer Velvet itself is not a banned substance under WADA, but IGF-1 concentrates are. It is true that Deer Velvet capsules contain a small amount of IGF-1, and in its pure form, this is a prohibited substance. However, IGF-1 occurs naturally in many foods, and 2 x 500mg Deer Velvet capsules contain much the same amount of IGF as a glass of milk or a steak. Colostrum also contains IGF-1. Canes Deer Velvet’s current batch 13718 has undergone rigorous batch testing (by an ISO 17025 accredited sports anti-doping laboratory), for a range of substances banned by WADA to provide the highest level of assurance that they are safer for athletes to use. (Confirmation of results is available on request). If you trust your supplier and know exactly what you are getting then pure 100% powdered quality Deer Velvet taken orally is considered acceptable. We have several professional athletes taking Canes Deer Velvet long term, whilst undergoing regular drug testing to WADA specifications without any problem. Confirmation available on request.